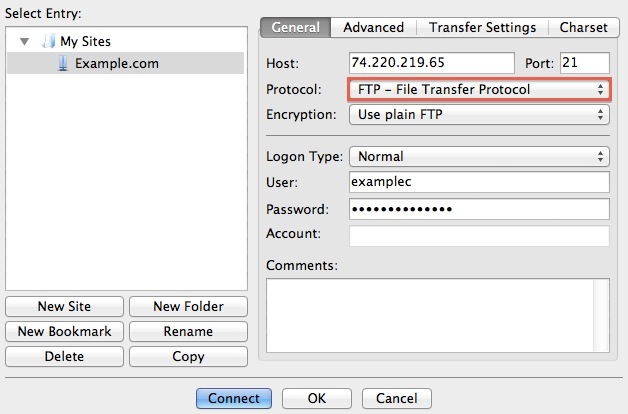 Among the various free FTP programs available to download on the internet for Mac OS X, Windows, or Linux, FastDomain recommends Filezilla. 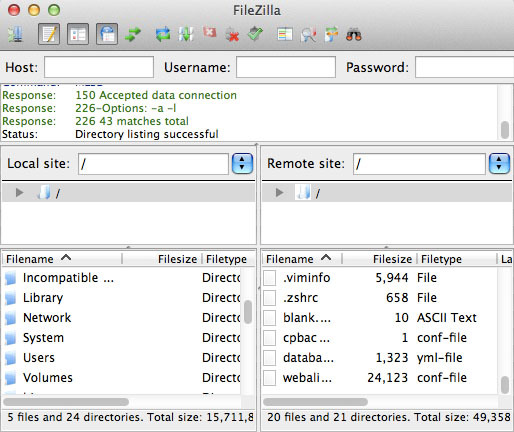 It can be downloaded free of charge from http://www.filezilla-project.org. Click the Site Manager icon. On the Site Manager window, click the New Site button. For the server host, if your nameservers are pointed to ns1.FastDomain.com and ns2.FastDomain.com, you may simply put your domain name. If your name servers are not pointed to us, then please use the IP address from the introductory E-mail message. 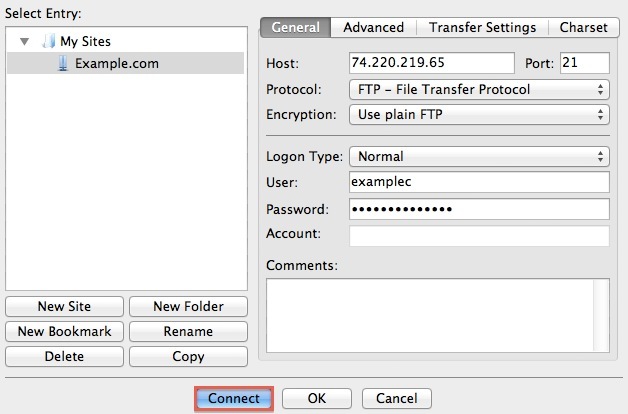 The username can be found by visiting the FTP Accounts section of the cPanel. Please note that the username may contain "@domain.com" where domain.com is the domain name. 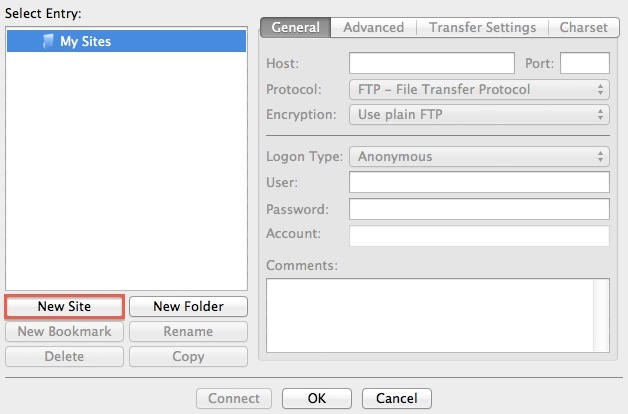 Enter an FTP password. If you are using the default FTP username, the password is the main cPanel password. Now, the files and folders on your server are viewable. The easiest way to copy files to and from the server is to simply drag-and-drop them from one side to the other.